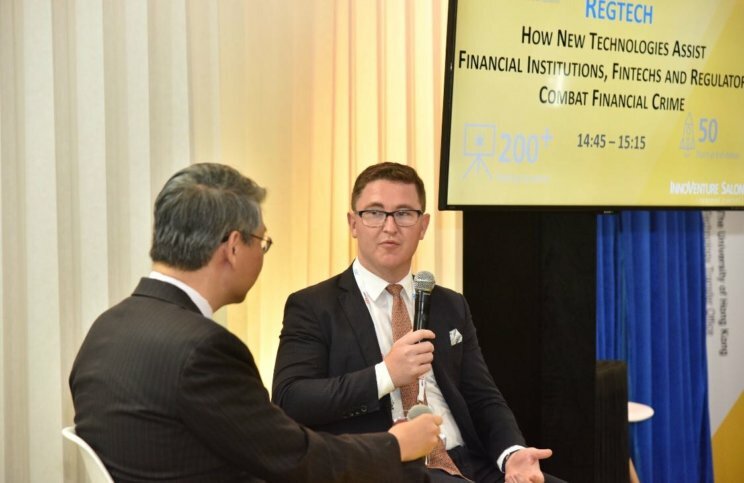 The Asian Financial Forum has become one of the industry “go-to” events for the last few years as it gathers the most influential members of the financial community to discuss progressive technologies within Asia and beyond. 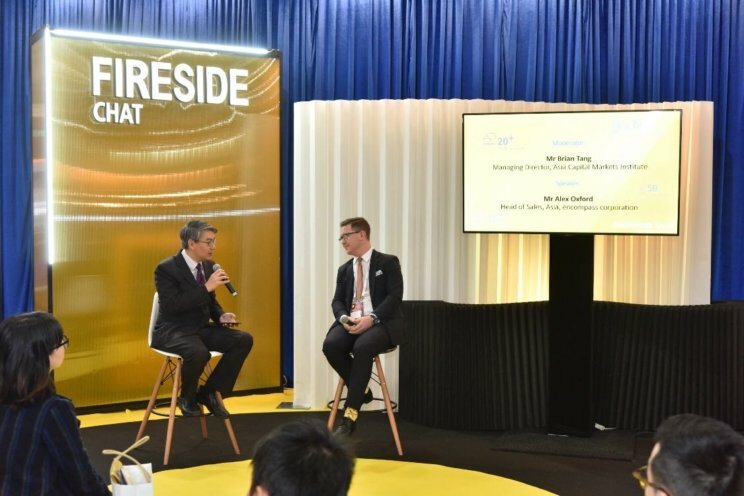 The 11th edition of the forum saw some 3000 delegates, come together at the Hong Kong Convention and Exhibition Centre over two days of speaking, panel discussions, fireside chats, pitching, networking and evening receptions. The Keynote speech came from Mr Robert Zoellick, former U.S. Deputy Secretary of State and former President of The World Bank Group. Zoellick spoke on international trade challenges, economic trends and the globalisation of financial services. I was honoured to join the accomplished programme of speakers and panelists and took to the stage opposite Mr Brian Tang, Managing Director of Asia Capital Markets Institute to discuss “How New Technologies Assist Financial Institutions, Fintechs and Regulators Combat Financial Crime”. Here is a summary of the key topics from our discussion. regtech is defined as “the use of new technologies to solve regulatory and compliance requirements more effectively and efficiently” as per the Institute of International Finance. My view is that regtech is here to replace old processes, not old technologies. Forrester have recently published a blog stating their predictions for 2019 within the financial services industry stating “This Is The Year To Invest In Humans” and I very much agree that this will be the year of back office automation. Regtech globally is a fragmented industry and has a large number of small players. Today there are more than 200 Anti-Money Laundering / Know Your Customer (AML/KYC) startups globally, the majority of which start with one major client for whom they build specialised solutions, then they try and scale this to the wider market. Over $2bn has been invested in regtech firms in 2018. These investments have gone towards solutions looking at a plethora of challenges and areas including biometric ID verification, fraud, AML/KYC, regulation, enterprise risk, credit, tax, FATCA (Foreign Account Tax Compliance Act), machine readable legislation, the list goes on. Globally there has been an increase in interaction between regulators, which is placing regtech front and centre of many conversations. Singapore is leading the charge in Asia, with the Monetary Authority of Singapore (MAS) having funded Startupbootcamp FinTech Singapore, a three month long programme to provide startups with structured mentorship and strategic information regarding sales and investment. This more hands on approach has proven successful with 12 startups taking part in the programme, pitching to over 500 investors. The Financial Conduct Authority (FCA) in the UK also has provided guidance notes on new technologies and host regular regtech events for industry interaction where best-in-class suppliers are introduced to relevant banking teams. Whilst we don’t expect all regulators to go down the path of ‘endorsing’ solutions or technologies we’re certainly seeing a shift in regulators becoming more transparent with banks around what they see as leading technology providers who can help in the overall goal of having a safe financial system. Hong Kong is seeing a new era of smart banking with recent exploration into a KYC utility and the Fintech Supervisory Sandbox (FSS) which was launched by the Hong Kong Monetary Authority (HKMA) in September 2016. The sandbox allows banks and their partnering technology firms to conduct pilot trials of their initiatives with a limited number of participating customers without the need to achieve full compliance with the HKMA’s supervisory requirements. Last year, at the Hong Kong Institute of Bankers Annual Conference, Deputy Chief Executive of the Hong Kong Monetary Authority, Mr Arthur Yuen spoke in-depth around the tremendous potential for regtech in Hong Kong – highlighting ‘robo-regulators’ and numerous other potential technologies currently under evaluation by the Monetary Authority. China has seen Customer Due Diligence (CDD) requirements remain less stringent than other jurisdictions, but we expect them to tighten in coming years as China continues to push organisations to shift internationally and implement global best practices. In other areas, such as securities, the CSRC (China Securities Regulatory Commission) are pushing for wider adoption of RegTech as it looks to rein in the financial sector. The biggest challenges for regtech adoption are compliance, complexity, cost and bureaucratic processes. These issues have always stifled the development of the finance industry and are still pertinent today, with bureaucracy a large challenge to any organisation. When banks aim to use compliance as a competitive advantage, regtech comes to the fore. When looking to integrate regtech focus on the outcome. Start with what the problem is and why it is a challenge. This gives a solid foundation to explore how to solve it. There is so much technology out there, so you need to be clear on what you want before you can see how it can be achieved – think about artificial intelligence vs machine learning vs blockchain vs big data vs robotics vs intelligent automation. encompass focuses on the four pillars of success when working with our customers – quality, control, cost and customer experience. Are you getting the full picture of your customer? Does the solution allow you to demonstrate consistent compliance processes and decisions? Has it cut your costs? Will it win you more business? At encompass, we take pride in answering ‘yes’ to all of these. We are comprehensive in our range of information providers and accuracy of our data. With encompass, financial services firms can meet regulatory obligations with a risk based system of control and prove their policies are consistently adhered to; whether it’s performing KYC on one customer – or tens of thousands. Over the past decade, Alex has been a part of numerous organisations across the Asia-Pacific region within the business technology and data industry, also serving as an advisor to firms that specialise in identity management. Alex is also a board member of the Australian Chamber of Commerce Hong Kong & Macau, elected as the youngest ever board member.